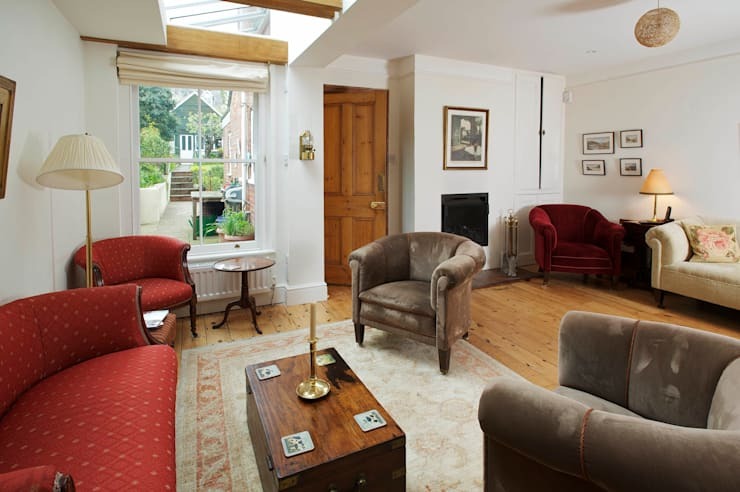 In this image, you can see how the architects have faced head on, the task of a new extension on a red brick period house. The bricks have been closely matched, causing very little, if any, disturbance to the existing exterior aesthetic. The new window frames, painted in a soft shade of off-white, match the existing frames in such a way it seems as though they too, are original. In addition to this, a glass roof was installed over the extended section to fill the area with light and totally illuminate the new space. The living room is one of the most important spaces in a home, and it is only fitting that we should want to spend as much of our relaxation and down time in there are possible. After all, even when the weather outside is less than ideal, no one wants to be cooped up in a dark and cramped room, do they? 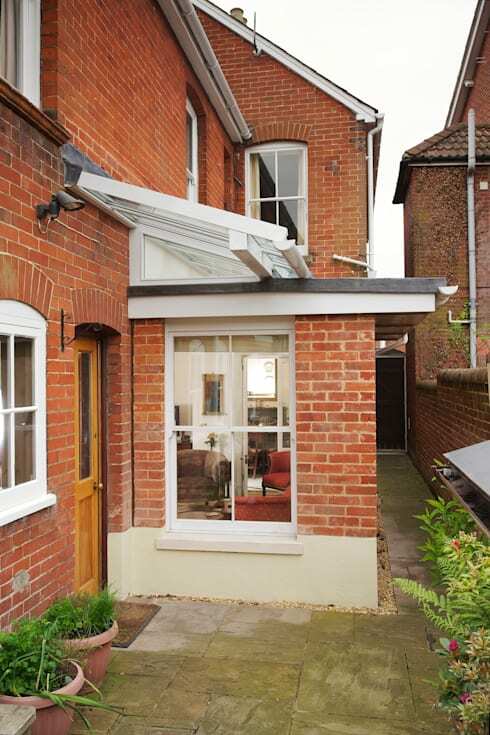 For this reason, an extension was designed to fill in the service area to the side of the property, in turn, lengthening the available space of the living area for the occupants. From this view, you can see the impact created by such a seemingly small addition—but it is as they say, looks can be deceiving! The glazed roof allows for the maximum influx of natural light to disperse inside the space and brighten up even the darkest of corners. The pale wooden beams provide not only structural support to the new roof, but also add an interesting and enriching feature to the design. 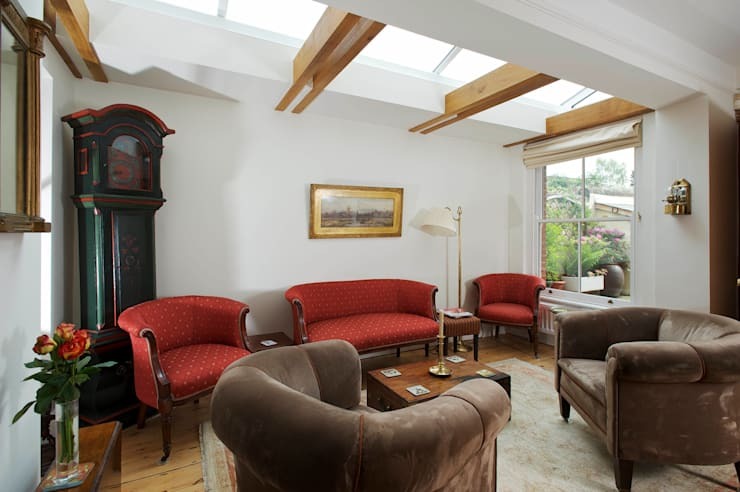 It too, matches the antique style furniture, and helps to blend a contemporary extension together with a period home. 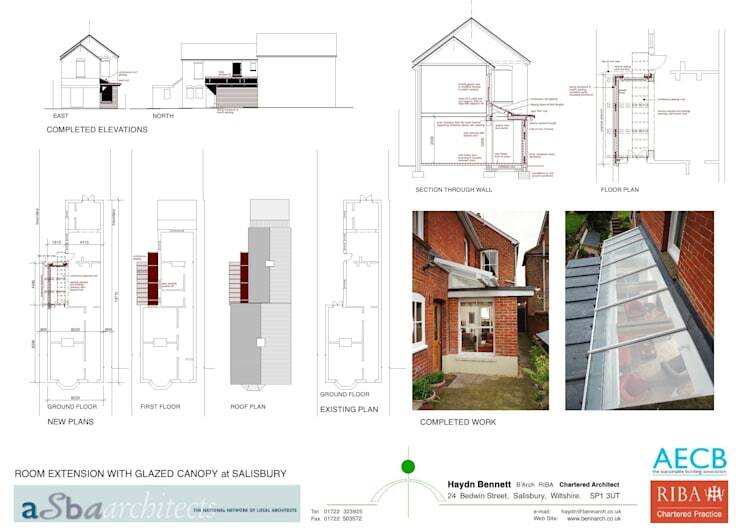 For those who like to see how the architects resolved the problem in a technical manner, the firm have graciously provided us with these details. In this image, you can see the size and shape of the existing property, as well as the boundaries and limitations the architects were faced with in the planning stages. It goes to show that even in the grand scheme of things, a small addition can make the world of difference.